1. Sooo much bang for the buck, get these pointed toe flats in all colors, (especially red). 2. Love these casual sandals that look best with a maxi or jeans. 3. A little higher lace up that I love with a cropped pant. 4. 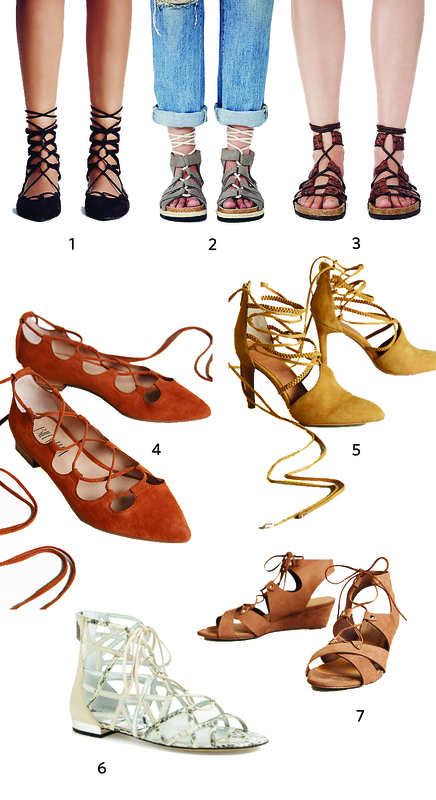 Pointed tow lace up flats, yes please. 5. Lace up heel in the perfect color. 6. Love these in black, wearing all black. Bonus, they’re on sale! 7. Gladiator wedges have the perfect heel height for comfort and style for running errands. What are your weekend plans? I’ll be shopping for my man for father’s day, gardening, and working on our backyard that the kids have turned upside down with a million toys, trucks and mudpies. Summer at it’s best right? Here is what I’ll be wearing to the next wedding shower, since wedding season is upon us! Also, for everyday, I’m loving this black versatile crepe tank. Both are from cooper & ella who gives one hot meal to a child in need with every purchase, read more here. How’s that for a dress on a mission?